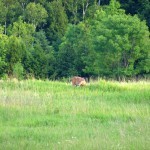 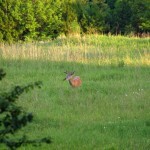 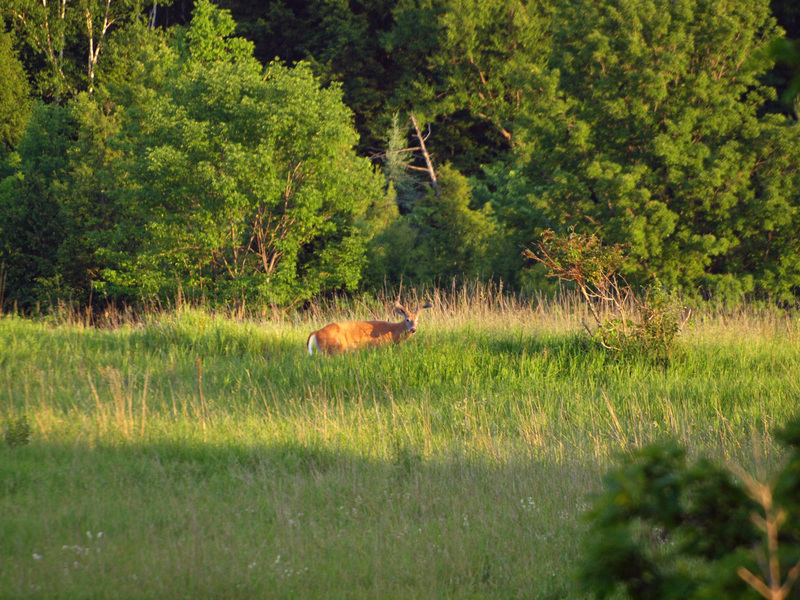 This young male deer (antlers) was walking alone in the field behind me around sunset. 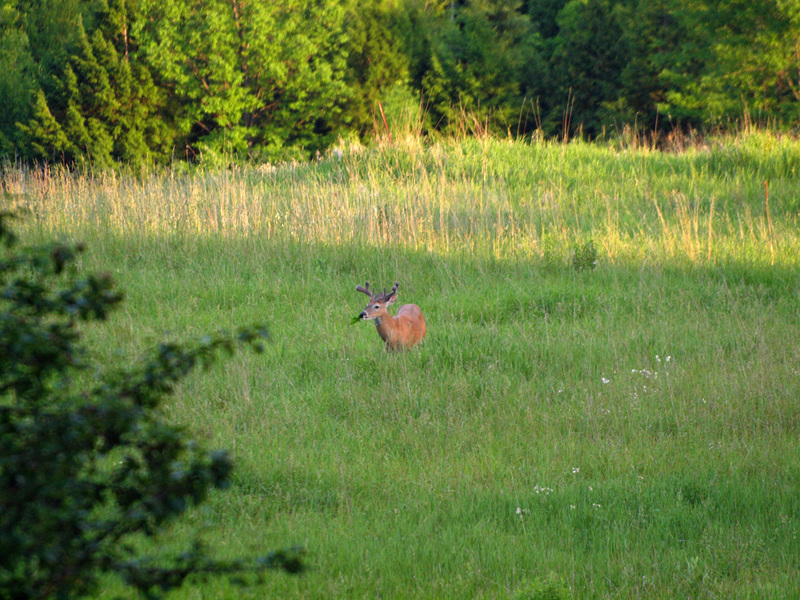 He was aware of my presence but did not scare away while I'll snapped a few pictures with my camera and zoom lens. 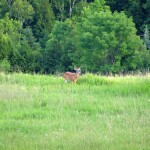 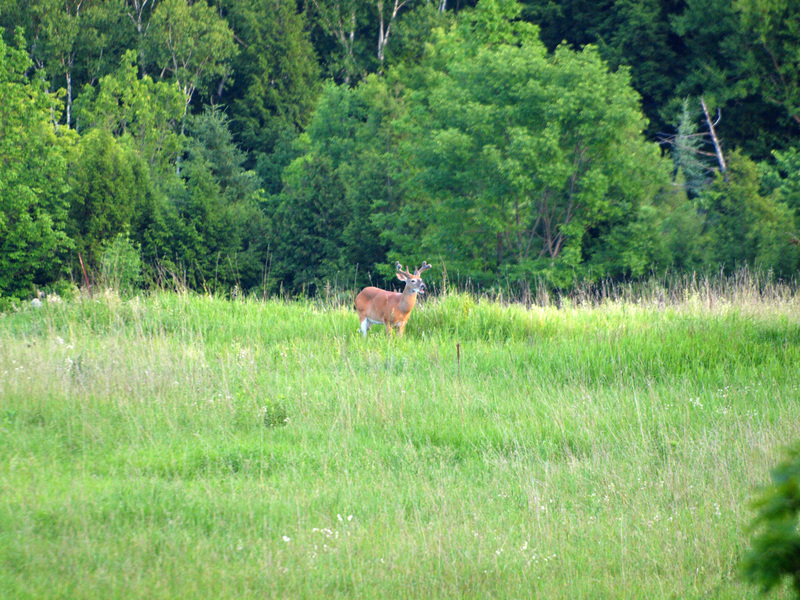 The deer population in the Caledon, Ontario area appears to remain fairly high. 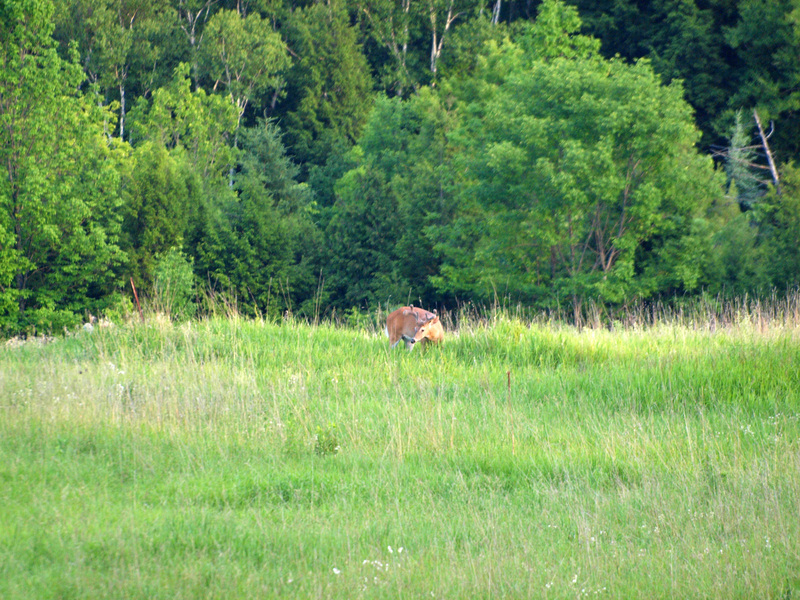 Be sure to keep an eye out at night when driving down some of the lesser traveled roads, I have had a number of deer jump out of the woods in front of my car.